Relatives of a victim of a blast at St. Anthony’s Shrine, Kochchikade, react at the police mortuary in Colombo, Sri Lanka, on Sunday. 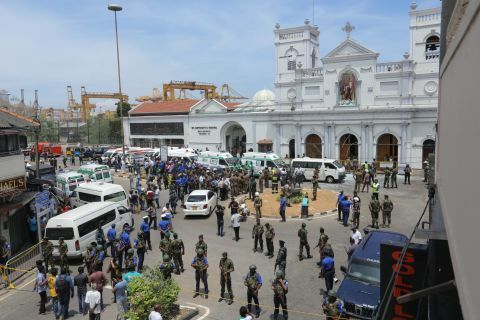 The first wave of bombings struck at the heart of the country’s minority Christian community during busy Easter services at churches in the cities of Colombo, Negombo and Batticaloa. 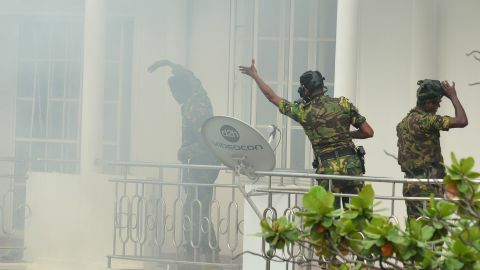 Sri Lankan Special Task Force personnel gesture outside a house during a raid following an explosion at a property in the Orugodawatta area of Sri Lanka’s capital, Colombo. 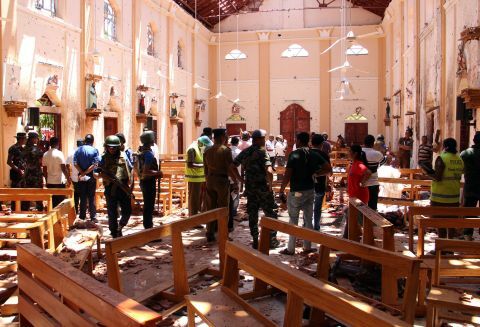 Sri Lankan security personnel walk through debris following an explosion in St. Sebastian’s Church in Negombo, north of Colombo. 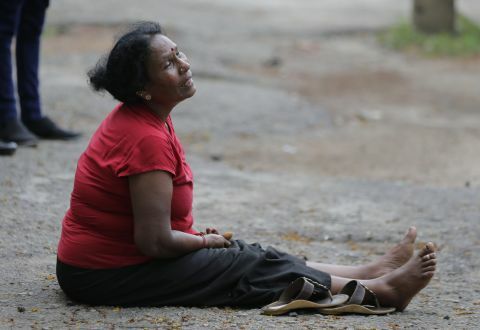 A relative of a blast victim grieves outside a morgue in Colombo, Sri Lanka. 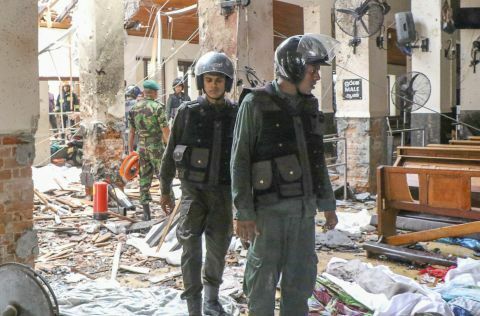 Sri Lankan military officers stand guard outside St. Anthony’s Church following an explosion. A series of bomb blasts at churches and hotels killed more than 200 people. 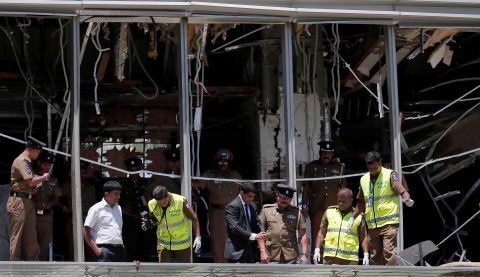 Crime scene investigators inspect the scene of an explosion at the Shangri-La hotel in Colombo. 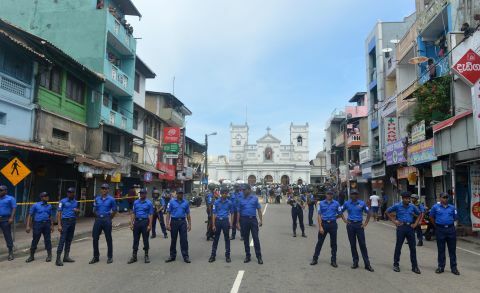 Sri Lankan security personnel keep watch outside St. Anthony’s Shrine. 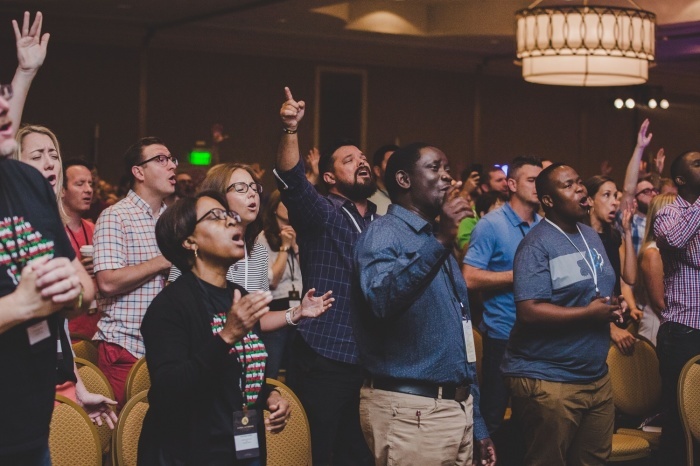 The attacks struck at the heart of the country’s minority Christian community during busy Easter services. 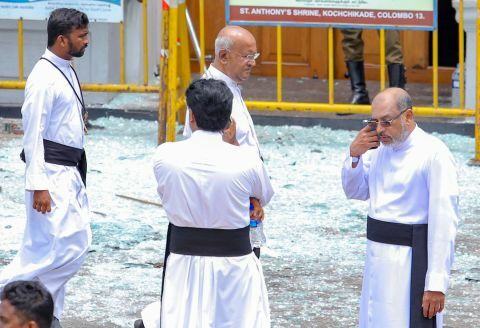 Priests view blast debris outside St. Anthony’s Shrine in Kochchikade, Colombo. Security forces inspect the inside of St. Anthony’s Shrine after an explosion hit the church. 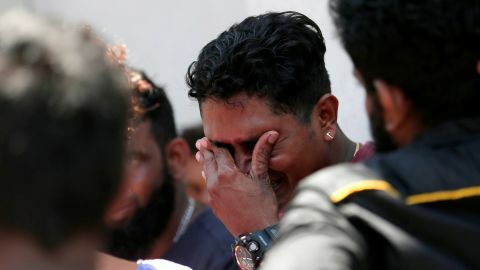 A relative of a victim of an explosion at St. Anthony’s Shrine reacts at the police mortuary in Colombo. 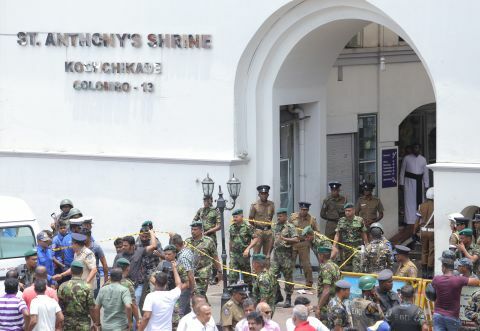 Sri Lankan military officers stand guard in front of St. Anthony’s Shrine.